Jayden Cicanese, Chase Markby, Isabel Markby and Lara Cicanese. 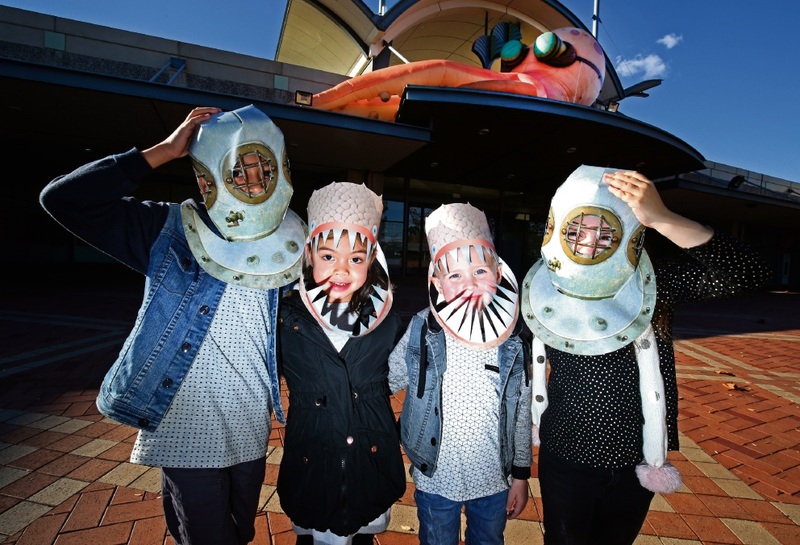 GARDEN City Shopping Centre transforms into a bustling underwater metropolis these school holidays, partnering with the WA Museum to shine a light on some of the oceans’ many secrets. A 20-metre giant inflatable octopus will take up residence at Garden City for two weeks, the centrepiece of a marine life-themed exhibition that aims to drive home the importance of conservation. Children can participate in a quest around the centre to learn about the ocean and enter the draw to win family passes to the Voyage to the Deep exhibition at the WA Maritime Museum. As kids dive deeper, they will adventure through a life-sized sea-inspired snakes and ladders. To make sure their trip through the ocean is a safe one, they will also craft their very own deep sea helmet or deep sea anglerfish. There will also be a specimen display and a series of talks from the WA Museum’s Aquatic Zoology Department experts, including Corey Whisson. “WA Museum scientists will present a short talk on amazing and dangerous sea creatures which include sharks, blue-ring octopus and venomous cone-shells,” he said. The school holiday activity schedule runs from 10am to 3pm Monday to Saturday and 11am to 3pm Sunday until July 17. The WA Museum expert talks take place on Tuesdays between 11am and 3pm.